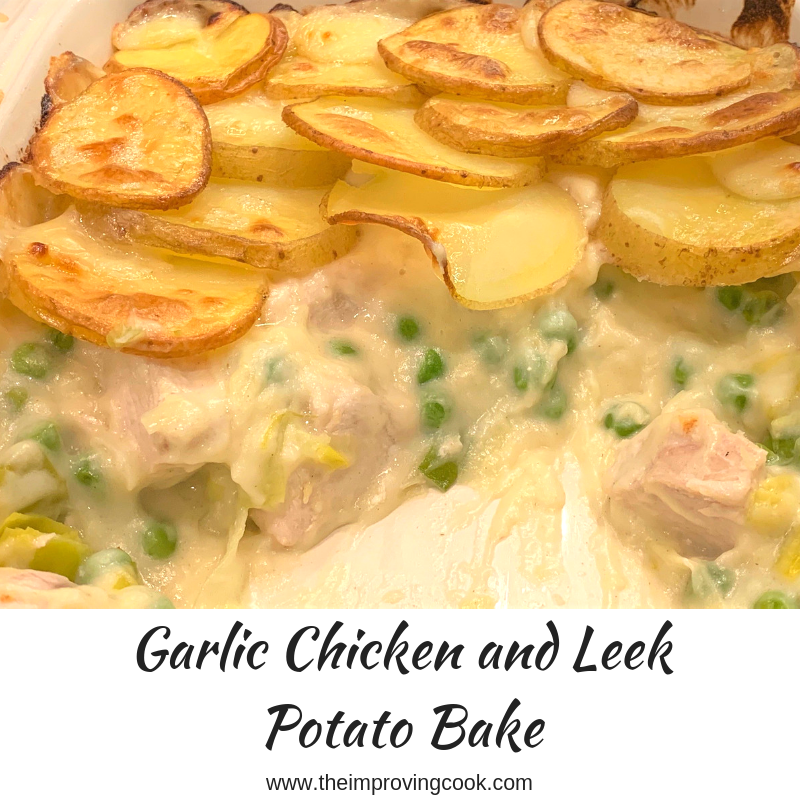 Garlic Chicken and Leek Potato Bake- a creamy, delicious garlic, chicken and leek bake with peas and potatoes layered over the top. Filling winter comfort food. 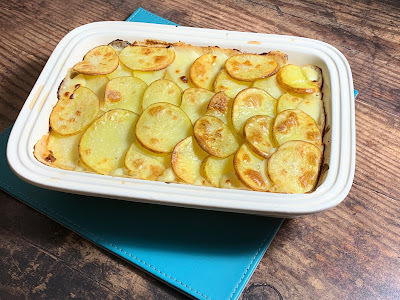 We have been enjoying Salmon and Broccoli Potato Bake so much during the cold weather that I was keen to come up with a bit of a spin on the recipe.This garlic chicken and leek potato bake is the happy result of that effort. This version of the bake has chicken pieces and sliced leeks and peas in a garlicky, creamy sauce with sliced potatoes on top. 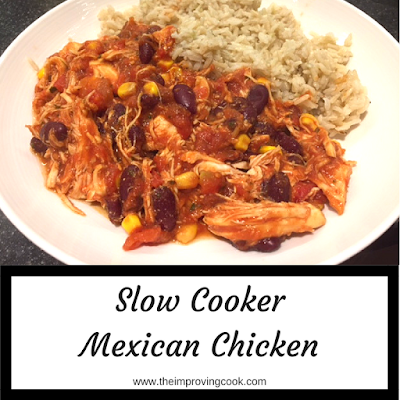 It's just the right kind of recipe to feed a family on a chilly evening- It does not disappoint! You might want to serve it with some more greens on the side for bonus veg content. Broccoli or cabbage goes well. I would happily eat it in summer with a side salad too. Slice the potatoes 2 cm thick and par-boil them. Cut up the chicken breasts and pan fry them. 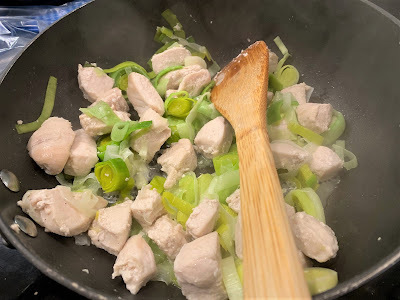 Add the leeks and pan fry until softened and the chicken is cooked through. 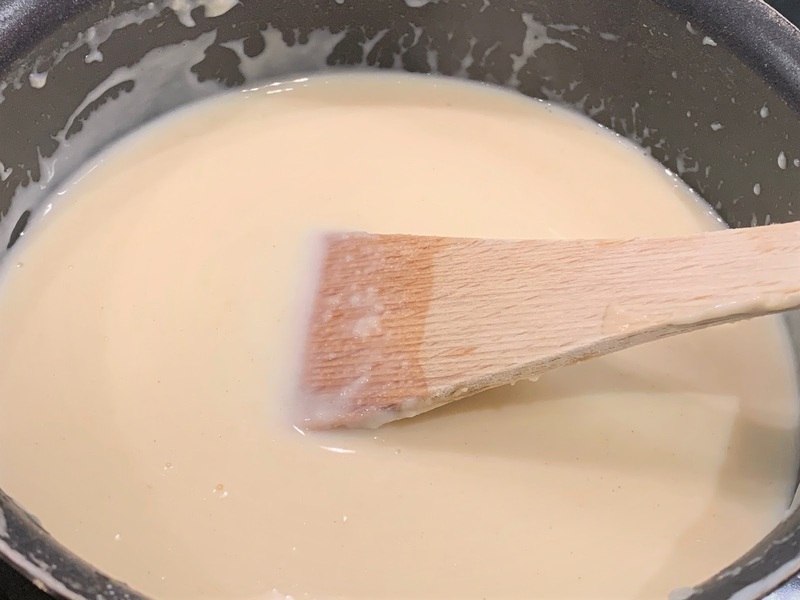 Make a garlic white sauce. Put the chicken, leeks and frozen peas into the casserole dish. Pour the sauce over and mix through. Layer the par-boiled slices of potato over the top and spray with low calorie spray oil. 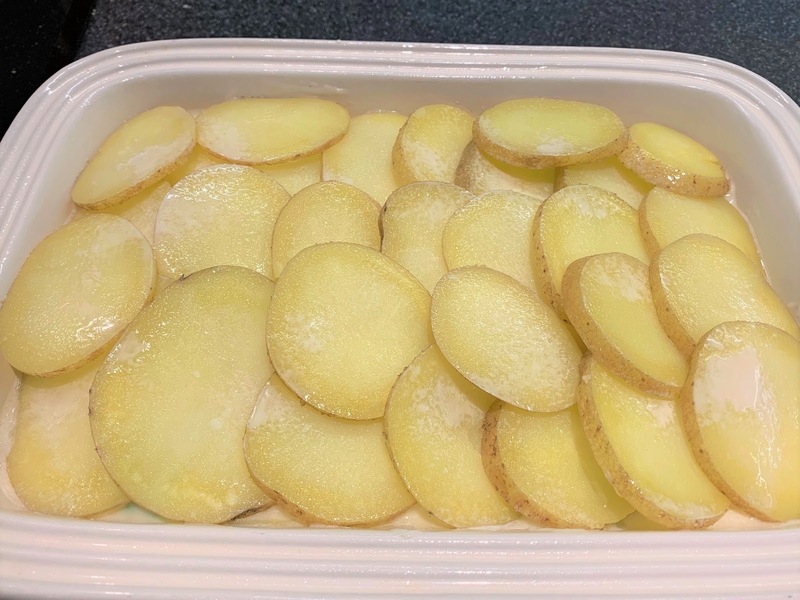 Bake until the potatoes are golden brown and starting to crisp. Yum! All crispy and delicious on top. 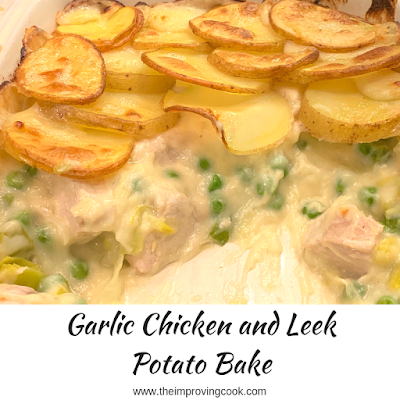 Garlic Chicken and Leek Potato Bake- a creamy, delicious garlic,chicken and leek bake with peas and potatoes layered over the top. 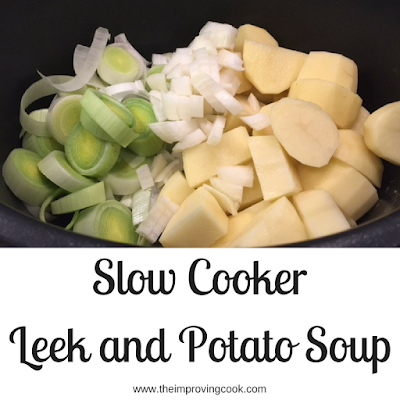 Filling winter comfort food. 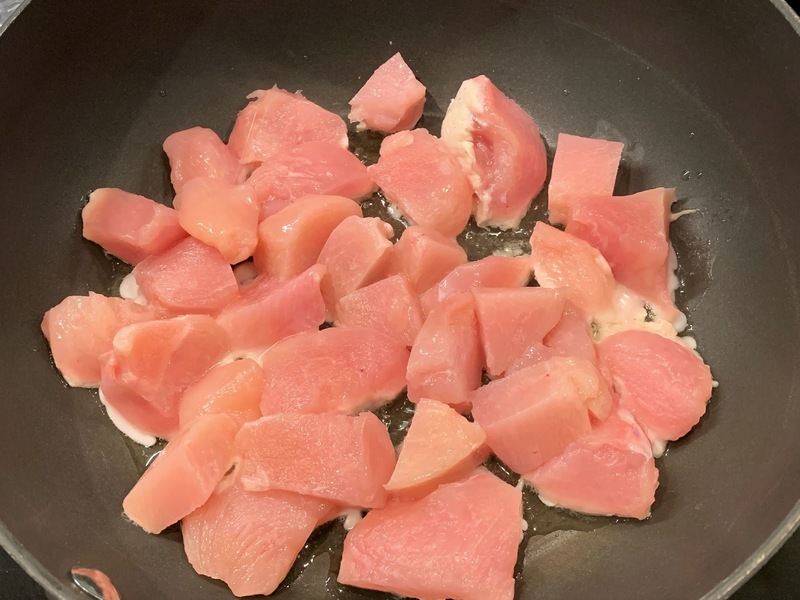 2.Chop the chicken into chunks and pop into a large frying pan with the olive oil on medium heat. 3. Wash and slice the leeks into slices around 1.5 cm thick. Add to the frying pan with the chicken and cook until softened and the chicken is cooked through. Remove from heat. 4. 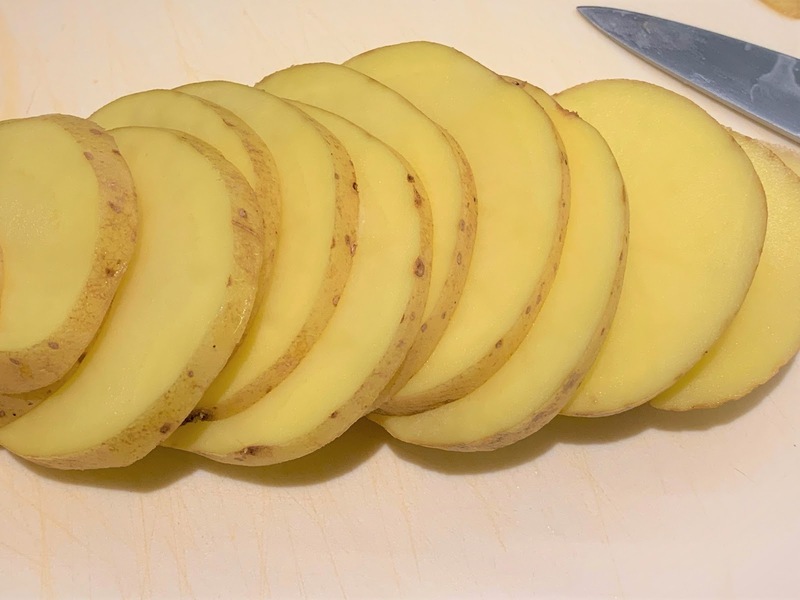 Slice the potatoes (skin on) 1 cm thick and pop into a saucepan of water. Bring to the boil and leave for 2 mins before draining. You want them to be softened but not falling apart. 5. Melt the butter, with the crushed garlic, in a small saucepan on medium heat. Mix in the flour until it makes a paste and allow to cook through for a minute or two, stirring occasionally. 6. Slowly add the milk, stirring as you go and allowing to thicken. 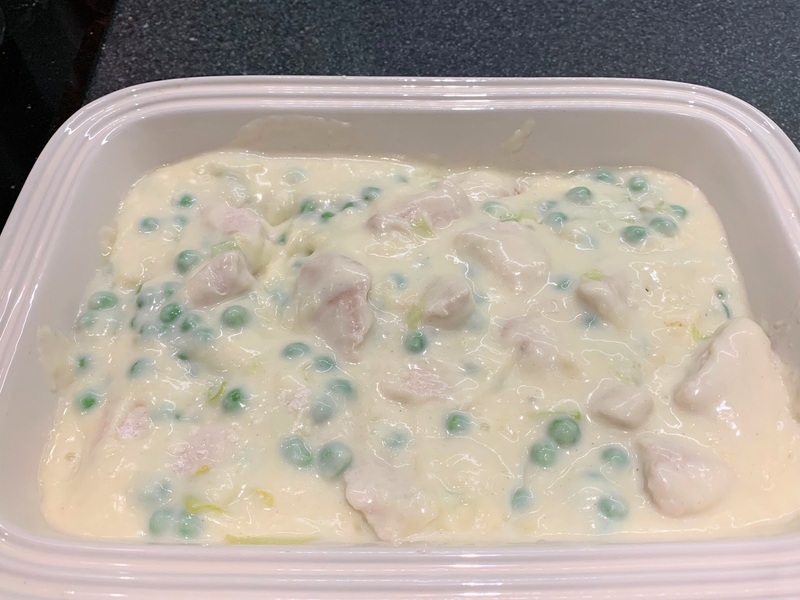 You want it to have some thickness to it, but it must be runny. 7. 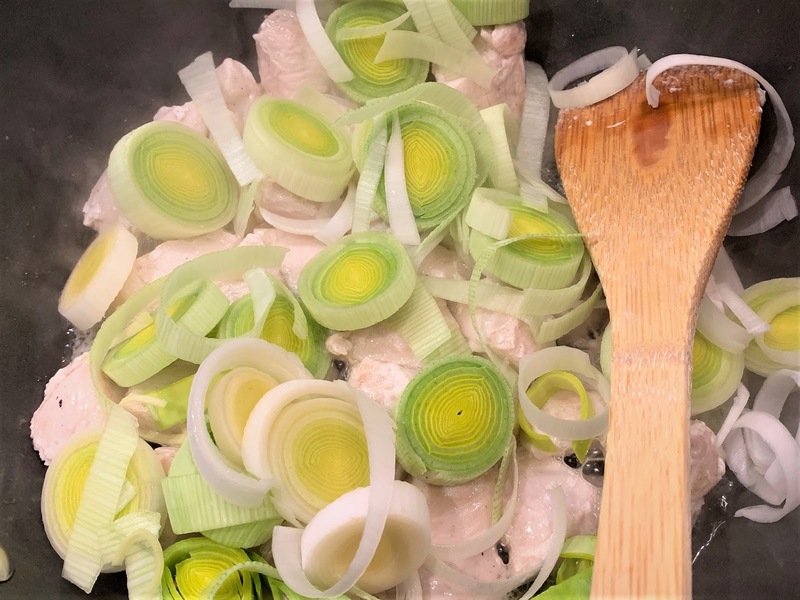 Transfer the chicken and leeks to a large casserole dish. 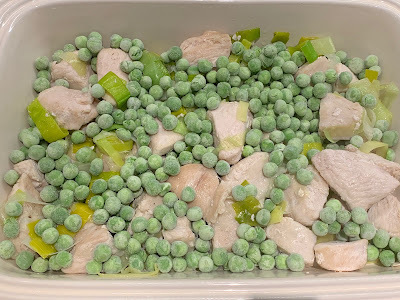 Add the frozen peas and stir them through. 8. Pour the garlic sauce over the ingredients in the casserole dish. It should just cover them. 9. 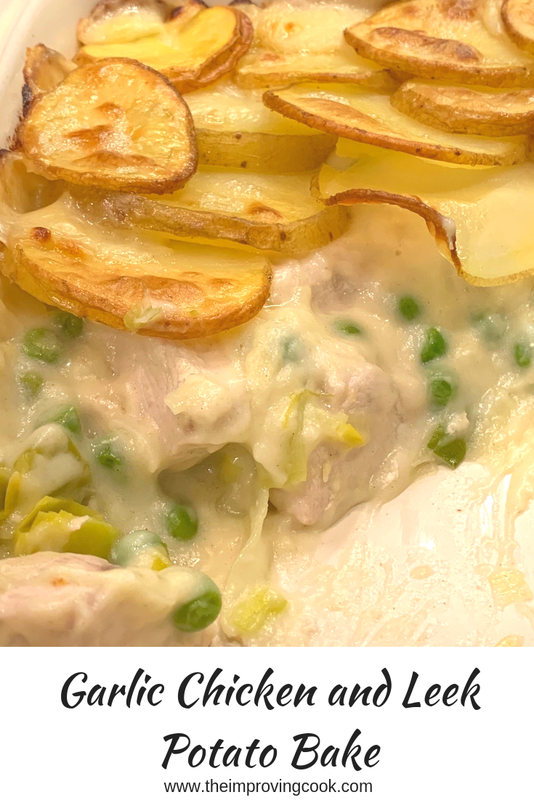 Layer the potato slices over the sauce, each one slightly overlapping. 10. Spray the potatoes with spray oil. 11. Pop into the oven for around 25 minutes or until the potatoes are browning on top. 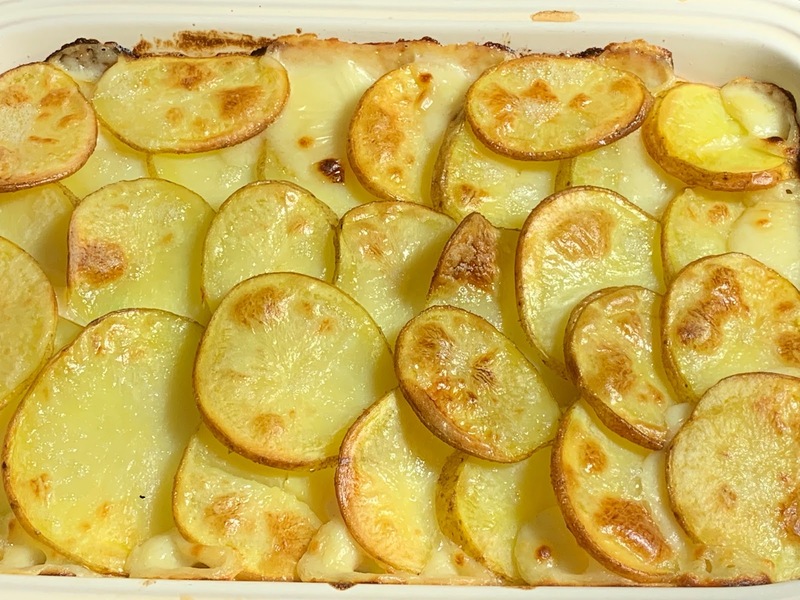 Put any leftover slices of potato onto a baking tray and spray them with oil. You can always slice up another potato as well and then bake them in the oven as 'bonus potatoes' for any potato lovers. 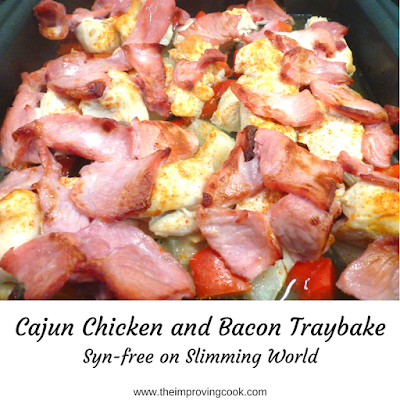 Although this serves 3, it's easily doubled for a bigger crowd- you may need two casserole dishes though.